Was Your Hotel Prepared for #Mobilegeddon? Google’s Mobile-Friendly Algo Update Is Here! 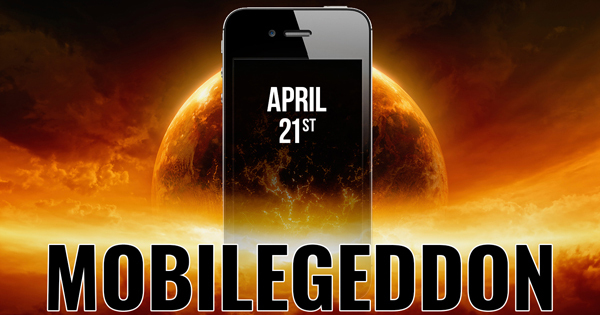 We’ve talked and blogged about it for some time, and yesterday marked the beginning of “Mobilegeddon”. In February, Google announced a major algorithm update making mobile-friendliness an official ranking factor in search, which officially launched yesterday. How does this affect hotels in search? The update affects only search ranking on mobile devices – meaning websites that are performing well on desktop searches will continue to do so on that platform. However, given that 60% of all searches are now done on a mobile device, if you don’t have a mobile friendly site you will see a drastic drop in mobile traffic. Do you really want to miss out on 60% of the market share? The update is rolled out globally and in all languages – If your hotel targets different countries and languages, it is important that you have a mobile strategy for every language you target as well. Use the Google mobile-friendly test tool and check multiple pages on your site to see if they pass the test. Content must be configured for mobile devices. When on your site, users should not need to pinch or expand to see the content. Links and buttons should be adequately spaced and can be easily clicked on. Avoid faulty-redirect penalty by ensuring your site is set up to redirect mobile users to the equivalent page on your mobile site. This wouldn’t be a problem with a responsive website, which serves and renders the content for desktop and mobile users. Absolutely avoid featuring any content unplayable on mobile devices – such as Flash. Optimize for lightning speed! There’s nothing more frustrating than spending a chunk of your time waiting for a website to load. Avoid adding any unnecessary widgets, banners, and thingamabobs that can add on to your site’s download speed. Studies have shown that users are even less patient with mobile page load times vs. desktop load times. Abandon rates on mobile devices jump dramatically after three seconds. CONTACT US to find out how we can help save your website from Mobilegeddon!